Remember when we hid under our blankets when we were afraid of the dark? You must see the video of the New Force Field Cloaks that Turn Fear of The Dark into Fun in The Dark. Kids Wearing Their Force Fields Turning Fear In The Dark Into Fun In The Dark. New Force Field Cloaks. Best Invention Since the Nightlight!! Turns Fear of The Dark into Fun in The Dark! A Whole New Level of Fun! Finally, something that works, the way kids think. 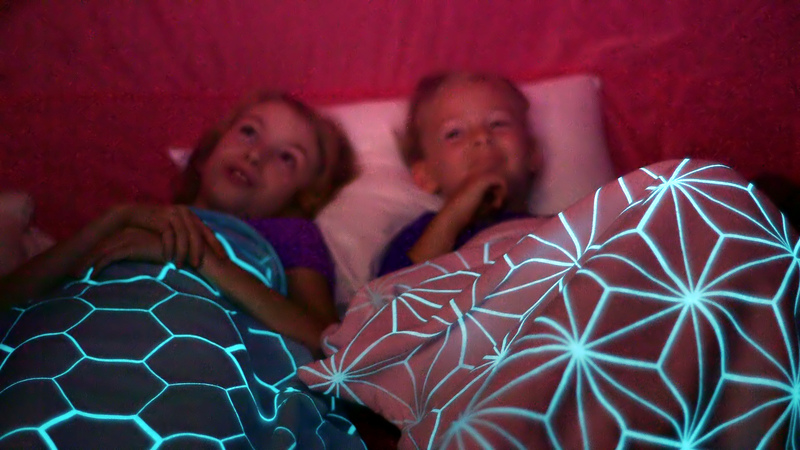 Not only is the Force Field Cloak great for kids who are afraid of the dark but it is awesome to play with. Kids can make their shadows on it or shadows of their toys. 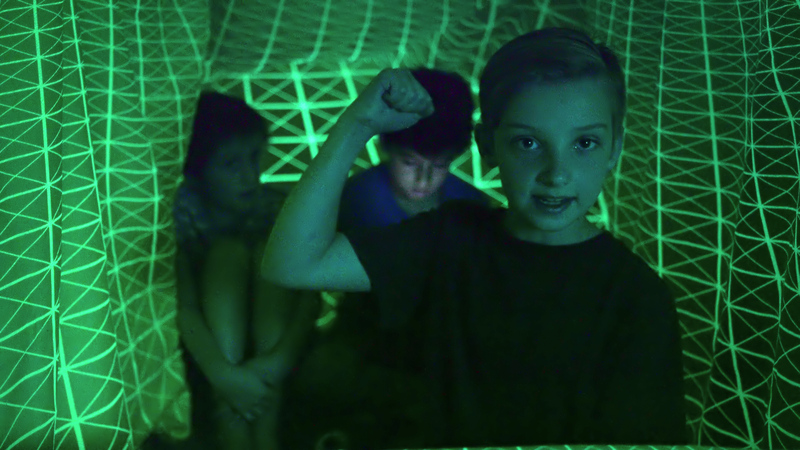 They can make glow in the dark forts, make designs on it with a flashlight. How cool is that? 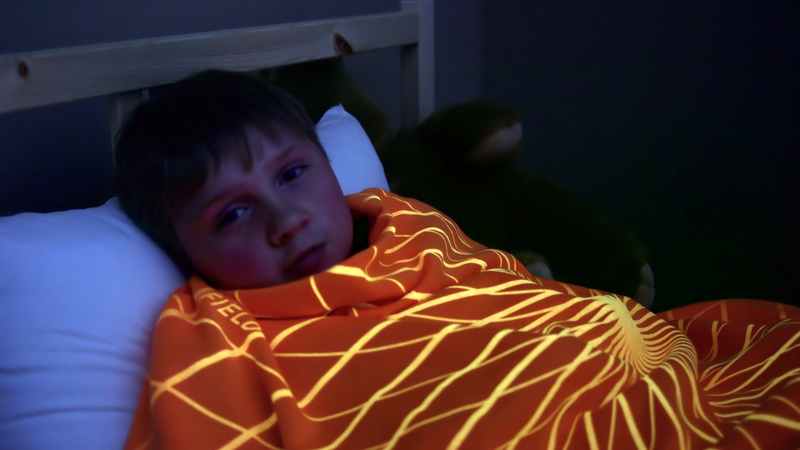 They come in five different fabric colors with five glow-in-the-dark designs and glow colors.” The Force Field™ Cloak uses a high grade, proprietary formulated glow-in-the-dark ink that is organic and nontoxic and is 100% child safe. It will glow for over 8 hours and it only takes about 20 minutes to charge up under a 100-watt bright light. Within one minute, you can supercharge the Force Field™ by simply using sunlight or a black light. The longer you charge it, the brighter it glows. Cold water wash, air tumble dry, no iron, no bleach. It is made from quality cotton-polyester blend material with fleece on the backside for that cozy feel. It is 40” wide and 54” long. 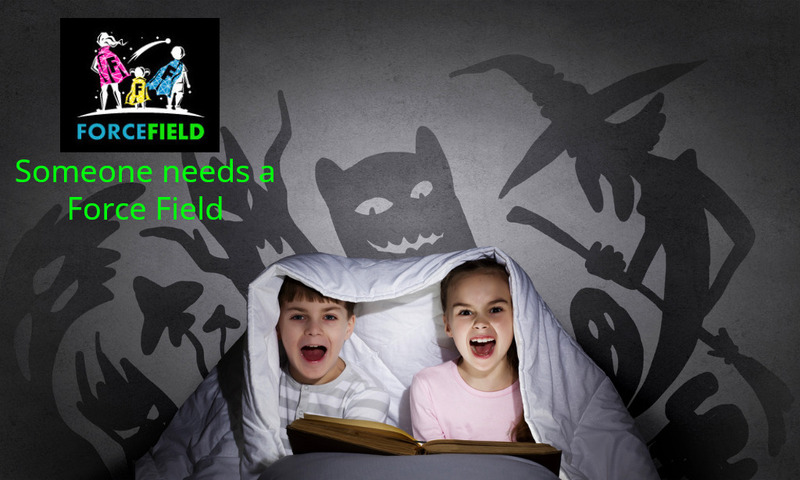 To learn about the characters and the story, visit ForceFieldFun.com. This is the best invention since the nightlight! This product will surely sell out before the 2018 Christmas rush. It going to be just one of those kinds of products that resonates with kids, and parents easily relate to it as well. It would also be the largest glow in the dark thing kids will ever have the pleasure to play with. They can be purchased at ForceFieldCloak.com and the suggested retail is $39.99 but, we are told, there is an early bird sale on for a few more days. Force Field™ has a patent pending and is a registered Trademark. Force Field Cloaks Lights On & Lights OffWill Be 2018 Hottest Seller Girls Are Not Afraid of The Dark With Their Force Fields Fully Charged. This Boy Says He Sleeps With His Closet Door Open Now And Loves His Force Field! Making A Tent With Your Force Fields Looking Like You Are On The Hollo Deck Of The USS EnterpriseOr In A Dome Of Light How Cool Is This Force Fields Are Made By Ebes The Weavers of Force Field CloaksEbes Just Arrived On Earth To Weave Force Field Cloaks For Earth Children Well Someone Looks Like They Need A Force Field! !